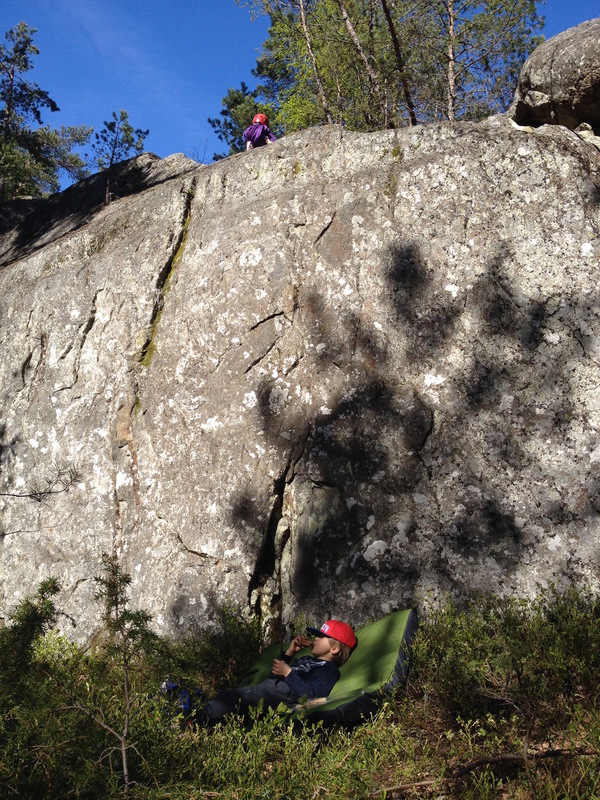 This weekend we took the kids out on a new micro adventure: a climbing day trip in the Stockholm area. 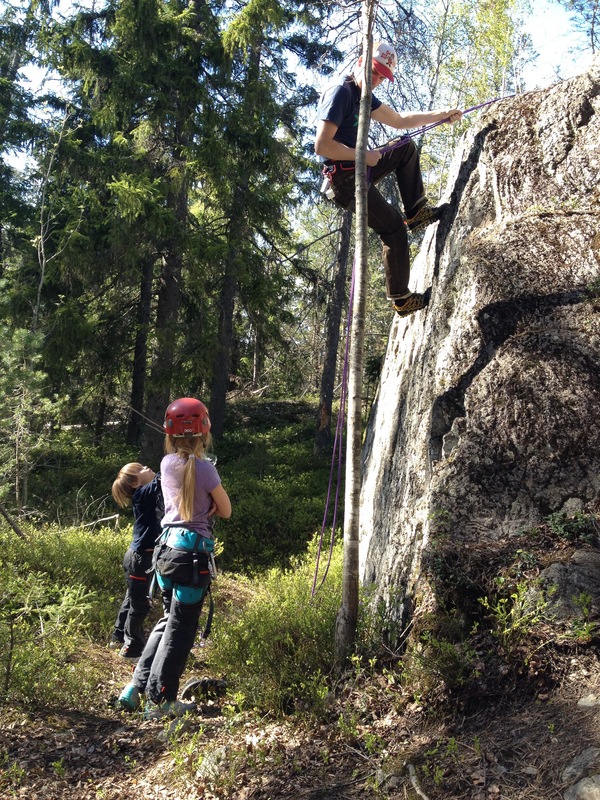 Mathilde, 9 yo, has been into climbing for about a year, she loves it and asks for it all the time, while Sasha, 6, is a nub in terms of climbing. We took the suburb train and stopped in Handen where a “naturreservat” lies by the train station. 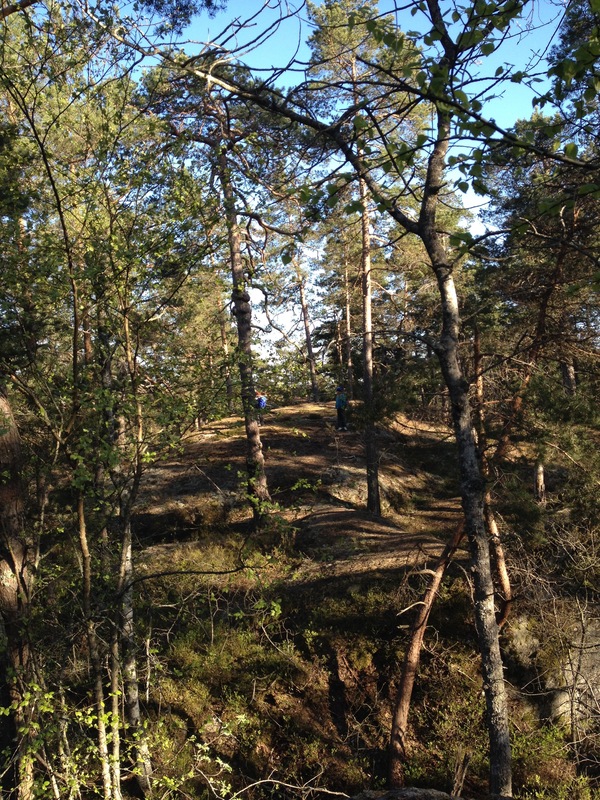 This forest is a boulder garden, perfect place for an introduction to climbing for the kids. We took a crash pad, a rope, harnesses and climbing shoes. Mathilde loves working with the rope, she’s really good at knots since she’s a scout and she shows lots of interest with all the techniques to build anchors, abseiling and all that kind of stuff. We wanted a nice place and some easy climbing for this microadventure, the big boulders provided a perfect playground for this matter. Going on short trips with the kids is really important to us, we want to give them the taste of the outdoors and hope to go on longer trips altogether in the future. Super! Jérémie, tu démontres, une fois de plus, qu'”élever” ne signifie pas seulement grandir! Bravo encore aux enfants et aux “en”cadreurs dont le talent n’est plus à démontrer.